Helping foster that special relationship and use of the library system is very important to South Texas College. 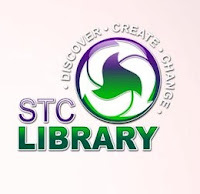 And that’s why STC is taking time to celebrate U.S. Library Week on April 17 from 10 a.m. to 4 p.m. at its Starr County Campus Library located at 142 FM 3167 in Rio Grande City. Activities on April 17 include the showing of “Puss in Boots,” along with a free children’s book giveaway to the first 400 children in attendance and story time from the South Texas Literacy Coalition. Attendees will have the opportunity to register for a community library card or view “Facilitating Crises," an exhibit featuring the mixed media paintings of M.C. Farris. Also, the library will accept canned food and other non-perishable food items in exchange for payment of library fines. The donations will benefit the Food Bank of the Rio Grande Valley. Admission is free and open to the public. For more information about the event contact Terri Rosalez at 956-488-5822 or visit http://library.southtexascollege.edu/services/programs/Pages/OpenHouse.aspx.